Media furniture has the ability to transform your living and entertainment areas effortlessly. It has many capabilities beyond holding your audio equipment as well as multiple functions. Whether you are in need of AV cabinets or a simple television stand there are few things to consider. Media furniture is often overlooked when choosing furniture for your space. It is usually not listed as a priority furnishing but as a luxury furniture piece to enjoy in your home. Media furniture warms your home and improves the balance of the space. Let’s cover four important things to consider when shopping for media furniture. These things include quality, design, functionality, and price. As you begin researching media furniture in your home think about quality. Quality requires that you focus on the degree of excellence. High quality pieces are typically built to last and hold up under everyday use. Quality begins with using the best materials. These pieces are build for both appearance and sturdiness. Choosing a quality piece of media furniture assures your piece will last and is a wise investment. To determine quality it is best to touch the piece or see a display. Consider whether the drawers and cabinets are properly aligned to guarantee proper functionality. Also check the type of material. Wood media furniture can lasts for generations, while pressed board should be avoided. When you are shopping for regular pieces of furniture you may run across one that works perfectly for you. Well, chances are there are hundreds more of that same piece you are looking at. 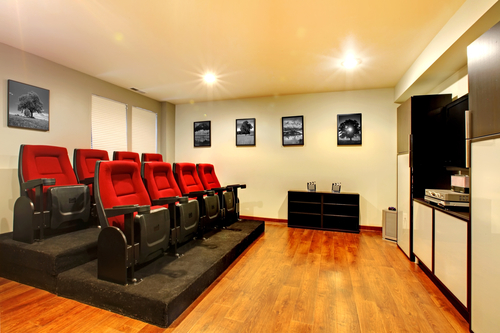 Choose media furniture that is customizable and fits your space, lifestyle, and preferences. Look for one-of-a-kind designs that are not comparable or found anywhere else. For example, at SoundWhere, you provide us with an idea of a design and a look that you want. Then we bring that idea to life in a piece that is forever yours to enjoy in your home. If you do not have a design idea, our designers are able to help you find or develop a design that works for your space. 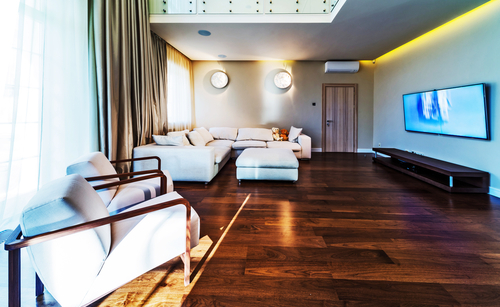 Having a custom-designed piece of furniture gives your space texture, warmth, and polish. We use hard work, dedication, and care to make your furniture the perfect addition to your space. 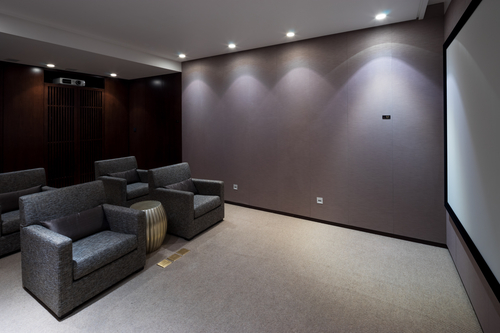 Selecting media furniture that fits into your space and offers appropriate functionality is important. Your media furniture must keep things organized while also hiding unsightly cords and other audio boxes. 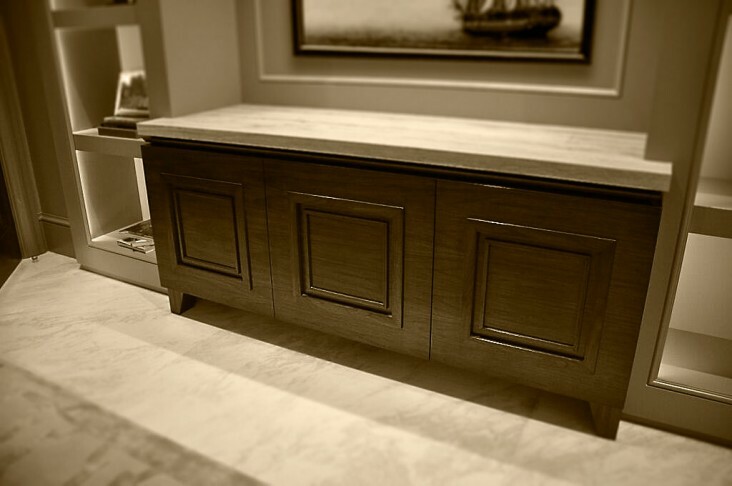 At SoundWhere, the most important quality of our custom furniture is our built-in speakers. These speakers are are not visible. Have you ever tripped over bunched speaker cords? Tired of seeing speakers scattered around your family room? Want to stop investing in costly speaker stands just so everyone can hear the music or football game? 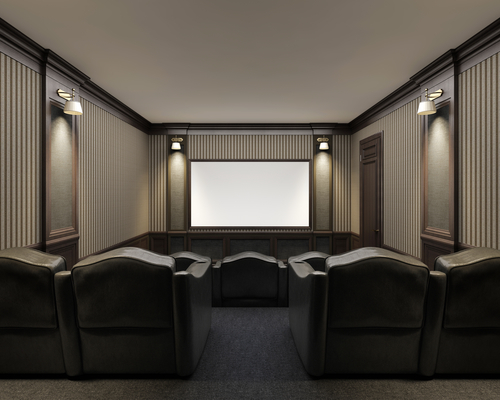 With high-quality sound hidden away from your eyes, your room easily feels as if you are in a high-end theater. There are no visible speakers or bunched speaker cords to ruin your space. You can have the best of both worlds with our unique media furniture. We can all agree that everything comes with a price whether it is high or it is low. Your home and space deserves the best quality and custom furniture available. When you are buying media furniture you are likely making a long-term investment. You want this furniture to last beyond just a few years. Quality media furniture makes certain the furniture stands up to everyday use. As you shop for your furniture consider the materials used to make the furniture. Strong, durable, and natural materials will cost more than prefabricated ones. Also consider the finish for your furniture. 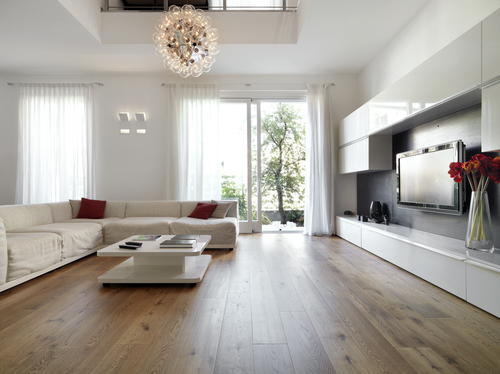 Selecting the right media furniture for your space takes time and patience. Keep in mind that your unique piece of furniture should be made with high-quality materials. It should be custom built and tailored to your space and lifestyle. Consider functionality as well. If you need help deciding on the best media furniture for your space, speak to one of our designers today.